EnergyWhiz will be Saturday, May 4th, 2019. 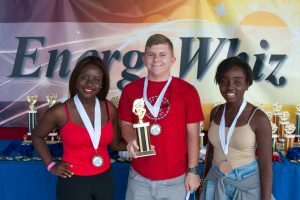 What is an EnergyWhiz Expo? Expos are regional events of various size and scope held prior to EnergyWhiz. See the schedule of up coming Expos. 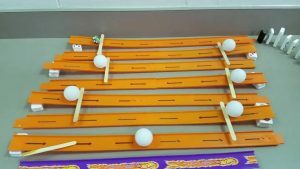 JSS cars race down the track! Students repair vehicles between races at the fix-it tent. Two teams prep their JSS cars for the race. A crowd gathers around the JSS tracks. 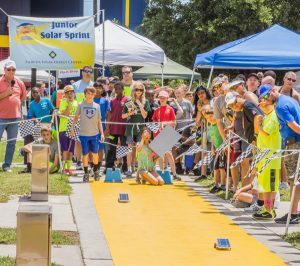 In this event, each team produces a student-built, model size solar electric car. Each car is judged on technology, craftsmanship, innovation and appearance. Then, cars race on a 20-meter track in a head-to-head race. 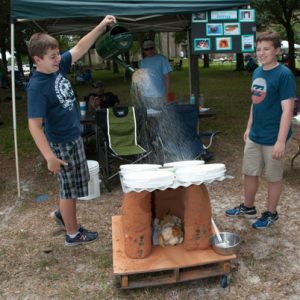 This event challenges students to use their science, creative thinking, and teamwork skills. A team shows off their solar cooker. Preparing an award winning meal. Presentation was key to this meal’s success. 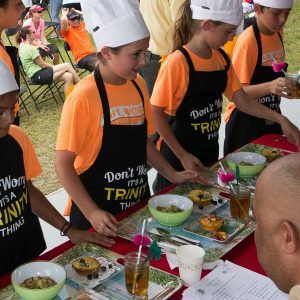 A team goes before the judges with their finished dishes. 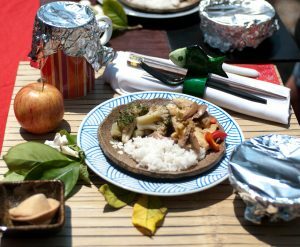 In this two-part cook-off, students design and build solar thermal “ovens” to cook their tasty creations. Then, students present their solar-cooked dish to a panel of judges. 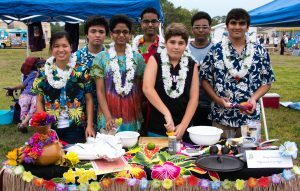 Students compete for best solar cooker design, as well as a culinary award. Students show off their knowledge and abilities in engineering and construction. Likewise, they also show their problem-solving skills. 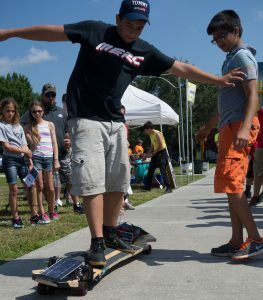 Testing out a solar powered skate board. 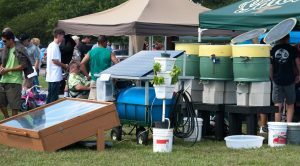 A solar powered hydroponics farm. 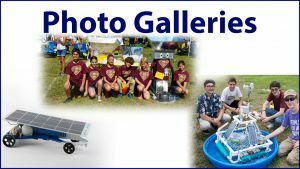 This activity requires students to work together to design and market a full-scale photovoltaic (solar electric) powered device that has real-world use. Design awards are judged based on creativity, construction, message and marketing of the product. 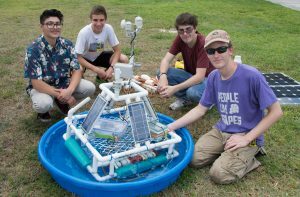 Students show off their cottage’s unique water catching feature. 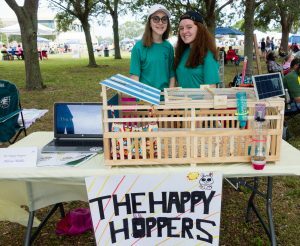 The Happy Hoppers with their Critter Comfort Cottage on display. A High School team accepts an award for their well made Critter Comfort Cottage. 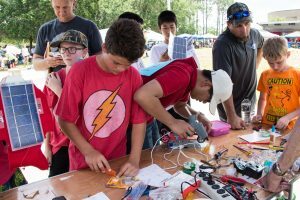 This event is a real-world engineering and communications challenge. Students use green building design and construction techniques to create an energy-efficient, cost-effective, comfortable “home” for a critter. Teams must also create a marketing plan that describes the features and benefits of their comfort cottage for the critter they have selected. A team member preps their Energy Transfer Machine for another run. Describing how their machine transfers energy. A complex section of a larger Energy Transfer Machine. 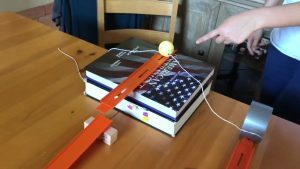 Students from around the globe are challenged to transform everyday materials into a wacky, innovative machine that performs a variety of energy transfers within a specified time. The machine must accomplish a team-specified task at the one-minute mark. 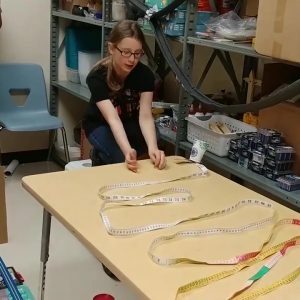 Energy Transfer Machines are large and difficult to transport, so students will submit a video of their machine in action. Videos are due four weeks before EnergyWhiz. Electrathon cars line up for a race at EnergyWhiz. 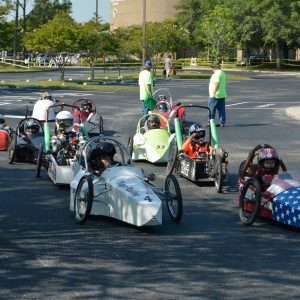 The Electrathon is a competition involving participant-designed and built electric vehicles. These go-cart-type vehicles are powered by an electric motor and batteries. 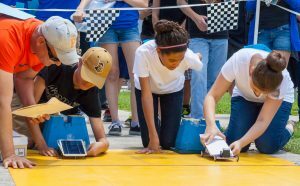 Therefore, students must skillfully design and drive the vehicles in order to maximize the number of laps traveled within a specified time limit. Note: A completed Risk and Release Form is required for all students. 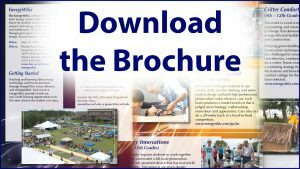 Still have questions about EnergyWhiz? Email Penny Hall at penny@fsec.ucf.edu.